As of Wednesday, it’s illegal for anyone under the age of 21 to buy tobacco products in the North Bay city of Healdsburg. The city is the first in California to hike the age limit from 18 to 21. 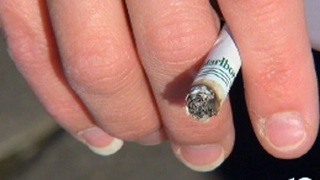 The goal of the new ordinance is to reduce teen smoking. Santa Clara County also recently passed an ordinance to boost the tobacco age limit to 21 starting January 1, 2016. There are 15 retailers that sell tobacco in Healdsburg, the Press Democrat reports. “I don’t think it will change things a whole lot,” one store owner told the paper. The store owner said one underage customer already told him he planned to have a friend purchase cigarettes from now on. Anti-tobacco advocates said similar laws in other states have resulted in a big drop in teen smoking.